Since 1985 SunPower has been leading global solar innovation. SunPower solar panels consistently deliver more energy and long-term peace of mind with the highest performing solar power systems available. An investment in solar is a long-term economic investment (25-years plus), it pays not to take shortcuts. – Who is the solar panel manufacturer? 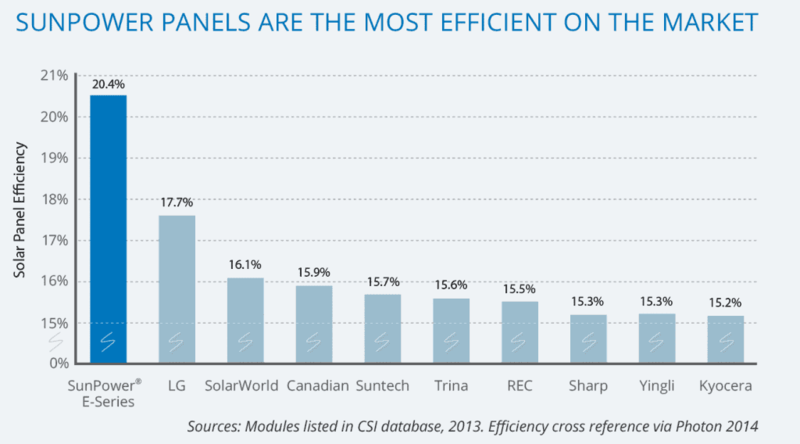 – How efficient are the panels? – How much energy will the system produce? – How long is the warranty cover? Our Maxeon® solar cell is fundamentally different and dramatically better. With its unique copper foundation, our cell delivers unmatched reliability and allows us to build the highest efficiency solar panels you can buy for your roof. Maxeon® solar cells are fundamentally better. SunPower solar systems are meticulously designed and tested to stand up to the harshest conditions; temperature swings, battering winds, humidity, hail, and more. That’s why our solar panels perform consistently for well over 25 years. 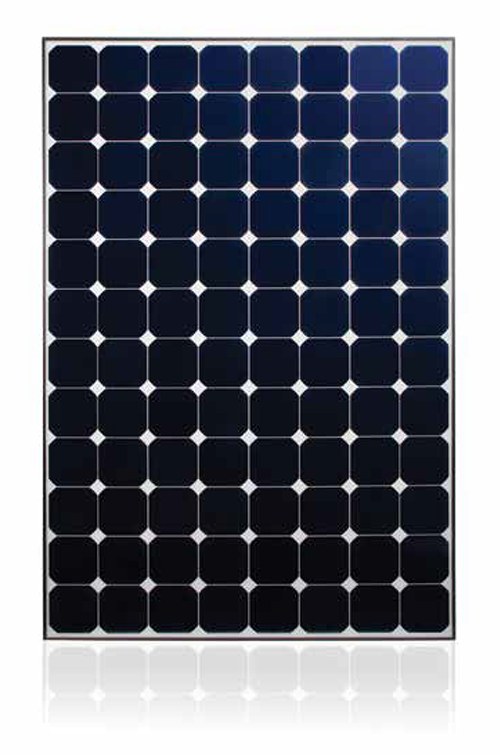 SunPower panels give you more options. SunPower high efficiency solar technology is the best choice for space-constrained rooftops. With higher energy production per square metre you need less roof space to achieve your electricity production goals. Compared to a Conventional Panel, a SunPower panel produces 60% more energy over the first 25 years. SunPower panels mean you don’t have to sacrifice aesthetics for high performance. SunPower panels convert more sunlight into electricity than any other panel. This means you can produce the same amount of energy, compared to Conventional Panels, in a smaller space. Or you can produce far more energy from the same footprint on your roof. SunPower solar panels are designed to wake up earlier, work harder, and turn off later in the day. 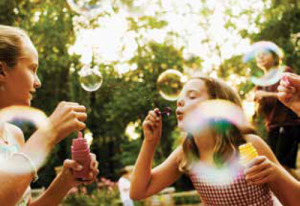 So you can make the most of the abundant solar energy and the vast savings it brings. 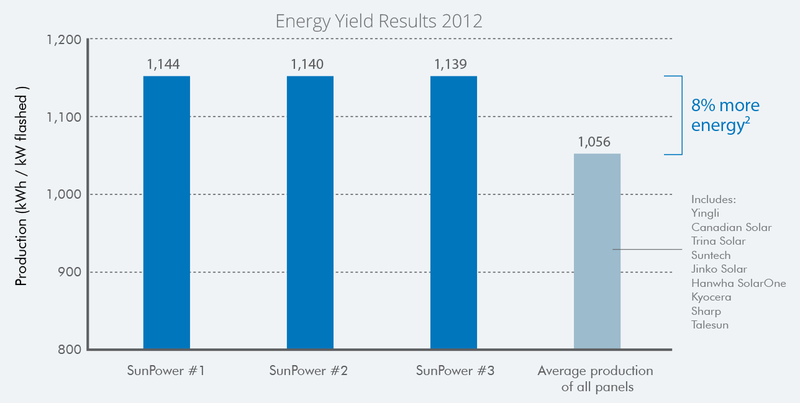 SunPower panels produce more electricity than other leading brands; this can translate into more savings for you. SunPower solar panels have an important advantage when first exposed to real world conditions. SunPower panels produce more electricity (kilowatt-hours) than Conventional Panels. This means you get more of what you are really paying for; electricity, offsetting the energy you would otherwise purchase from the grid. The Best Combined Power And Product Warranty. 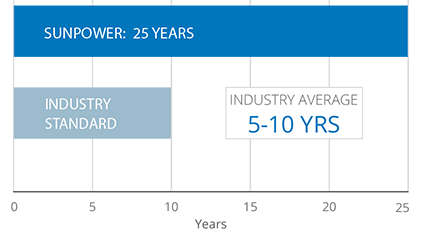 SunPower is proud to offer a 25-year warranty as efficient and dependable as our solar panel technology. We not only produce the world’s most reliable and highest performing solar systems, we stand behind them with the industry’s best combined power and product warranty.